After a recent crisis an agency friend of mine experienced when a translator did a large job of some 22,000 words and was unable to incorporate corrections by a reviewer (resulting in a rather creative but stressful rescue effort involving memoQ LiveDocs), I resolved to have a look at WordFast Pro myself and see if there wasn't some better, easier way to work with translators who have this tool. The current version of WordFast Pro doesn't support XLIFF, so that's out as a possibility. However, it does read RTF files, so I tried the same techniques which have recently proved successful for improving the interoperability workflows with Trados TagEditor and SDL Trados Studio among others. And indeed this approach was successful. A view of the memoQ bilingual RTF file imported into Wordfast Pro for translation. Copy the source to the target for the entire text. Export a bilingual RTF file. Hide all the content of the RTF file which is not to be translated. 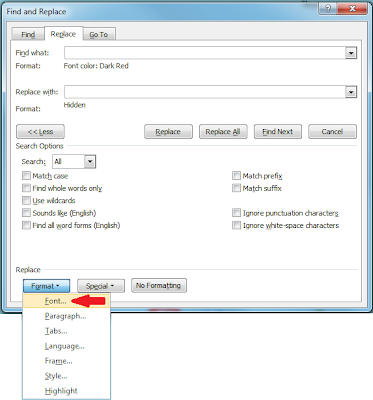 Use the search and replace function in your word processor to hide the dark red text for the tags, which are marked with the mqInternal style. The settings for the dialog in Microsoft Word are show below and are set using the Font... option (marked with a red arrow in the screenshot) in the Format dropdown menu of the Replace dialog. In this way, the translation can proceed without the risk of damaging the text constituting a tag, and the QA features of Wordfast Pro can be used to do a tag check before delivery. 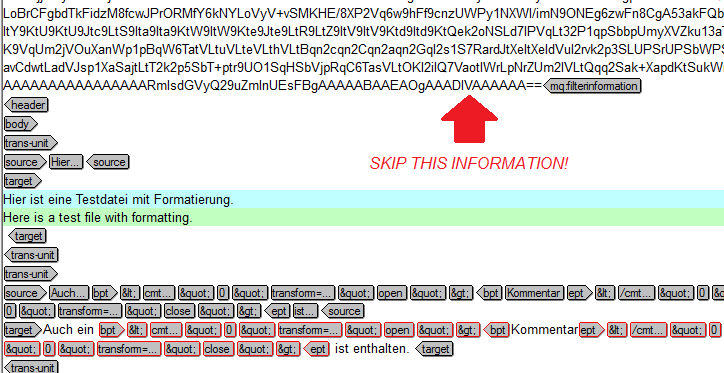 After the translation is completed and the tags have been checked, export the RTF file and unhide all the text. If there is a comments column available, any comments which are added to the table will be importe back to memoQ for feedback. Some time ago, I noted that SDL Trados Studio experiences difficulties importing XLIFF files in which the sublanguages are not exactly specified if the default languages are not set to the same major language. 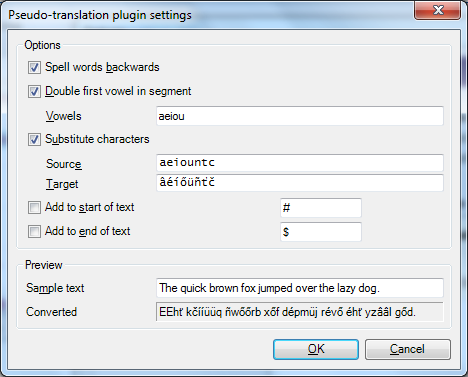 So if you plan to translate an XLIFF from memoQ or another tool in SDL Trados Studio, it is necessary to ask the one generating the file to specify the sublanguages or, if that is not practical, use the workaround described here. I discovered this bug before the release of the 2011 version of Studio and spoke to SDL development and management staff specifically about this at the TM Europe conference in Warsaw, but apparently this is not a priority to fix compared to other issues, and it may be a while before SDL Trados Studio users can work with client XLIFF files without coping with this headache. Several of my client agencies using memoQ for project management have quite a number of freelance translators using various Trados versions and who have no intention to stop doing so. It's important to work smoothly with these resources in a compatible way, which also protects the data and formats. 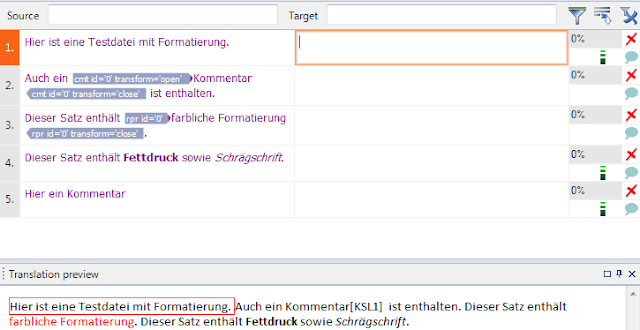 In a recent article on processing memoQ content with Trados TagEditor, I published a procedure I developed which enables the memoQ tags in the text of the bilingual RTF table export to be protected as tags when working in SDL Trados TagEditor. Now I would like to present a similar approach for Trados Studio users, which can serve as an alternative to XLIFF exchange. italic type are displayed normally as in memoQ, which offers the translator greater working ease. Please note that the same procedure described for working with these files in TagEditor (hiding the red text of the tags, see the TagEditor article for details) also works for SDL Trados Studio, but this method involving the mqInternal style saves a few steps. Readers of this blog probably know by now that I am a Dave Turner fan. His CodeZapper macros have probably saved me hundreds of hours of wasted time over the years (not an exaggeration), and I think there are a lot of other translators and project managers with similar experiences. It doesn't solve every problem with superfluous tags, but it solves a lot of them, and Mr. Turner works steadily at improving the tool. I blogged the release of the latest version not long ago; it is now available directly from him for a modest fee of 20 euros (see the link to the release announcement for a contact link). That means it pays for itself in far less than an hour of saved time. Over the past few days I have been updating some training documentation and running a lot of tests on tagged files as part of this. During this work, I have been struck time and again by the differences in the tags "found" by different tools working with the same file. Sometimes one tool looks better than another, but the patterns are not always consistent. What is most consistent is the ability of CodeZapper to clean up the files in various versions of Microsoft Word and make the tag structures appear a little more uniform. Import into memoQ 5, as-is, no tag clean-up. 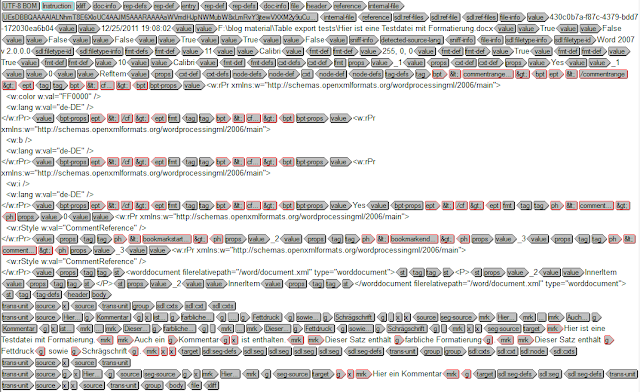 Previous versions of the same file showed more tags in places. SDL Trados Studio 2009 before tag clean-up. Initially, OmegaT would not import that particular DOCX without a tag cleanup. I reported the problem to the developers, who upgraded the filter to handle a previously unfamiliar character in internal paths of the ZIP file (DOCX is actually just a renamed ZIP package like many other file types). See http://tech.groups.yahoo.com/group/OmegaT/message/23931 for information on the new release. Opening, editing and re-saving the troublesome file enabled it to be imported after all without the latest version bugfix. So users should keep that trick in mind perhaps if a similar problem is encountered. I've had to do similar actions in the past with other tools, so this is probably a good general tip to keep in mind regardless of what tool you use. When I downloaded an tested the latest standard release of OmegaT (2.3.0_4), the tag structure looked fine - no zapping of the DOCX was necessary in this case. After treatment with CodeZapper, the file looked the same in memoQ (where the extra tags weren't present in the first place, though one can't count on things always being this way). The view in Trados Studio and TagEditor improved significantly, though there were still more tags, and OmegaT accepted the DOCX after tag cleaning. It is important to consider that superfluous tags mean wasted work time with formatting and QA corrections, perhaps even a higher risk of file failure (such as the inability to import the file at all into one tool). This is why for some time now, I and others have advocated modifying the costing of volume-based translation work to include the amount of tags. This requires, of course, that you have access to a counting tool which reports the number of tags (SDL Trados Studio does this - Atril's Déjà Vu has long offered this feature, and memoQ even allows you to assign a word or character "weight" for counting purposes). This is the only fair way I know of to account for the extra work (beside time-based charges). Consider that everyone is affected: translators, reviewers and project managers! I've had to talk more than one of the last group through "tag rescue" techniques after hours. Perhaps it is worth considering as well that cleaner tagging will also improve "leverage" (match quality) in translation memories. So if a tool does offer cleaner tag structures (fora variety of source formats) consistently, working with that tool efficiently to manage projects will save time and money as well on top of the time and money saved with the use of CodeZapper macros in MS Word files. OmegaT is popular in some circles because it is Java-based and thus cross-platform, and it is free. Although rather limited in many respects compared with full-featured commercial tools such as SDL Trados Studio or memoQ, this Open Source tool can handle quite a number of formats well, offers interoperability pathways with the leading commercial tools and there are a good number of excellent professional translators who are satisfied with its features. Thus outsourcers using memoQ should understand the best procedures to follow if working with translators using OmegaT in order to avoid difficulties. Create a bilingual RTF table export from memoQ of the content to be translated. 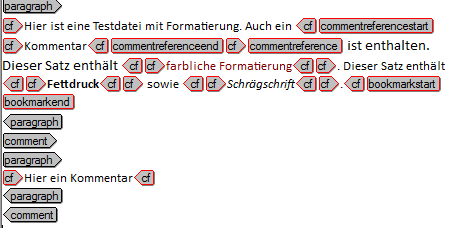 Use the "mqInternal" option for tags in order to change their color and facilitate proofreading of the final result. Copy the source content cells into an empty DOCX or ODT file. OmegaT cannot read RTF and requires one of these two formats to be used in this case. The translator will be able to read these directly and translate. OmegaT uses TMX for its translation memory. If you have a TM, provide it to the translator in this format. Provide terminology to the translator in this format if possible. OmegaT is also capable of reading TBX, the industry-standard for glossary files. Note that the memoQ tags are surrounded by additional OmegaT tags. Since OmegaT does not actually protect tags in its working environment, it is important that the translator verify the tags and proofread carefully, checking that all tags are present and applied correctly. Once the translation is ready in the target DOCX or ODT file, open it in Microsoft Word, copy the translated table cells and paste into the target column of the bilingual RTF file, add any comments necessary to the Comments column of the table (if present). After the bilingual RTF is re-imported to memoQ, run a QA check to verify the tags again. After that the work can be proofread for content in memoQ or a bilingual export of an appropriate kind and the target file generated and delivered afterward. As SDL Trados Studio gains acceptance, SDL's own flavor of XLIFF is encountered with increasing frequency by translators using other tools. I decided to test three of these to see how they fared: TagEditor (for "backward compatibility" with Trados users who haven't upgraded), the Open Source tool OmegaT and memoQ. 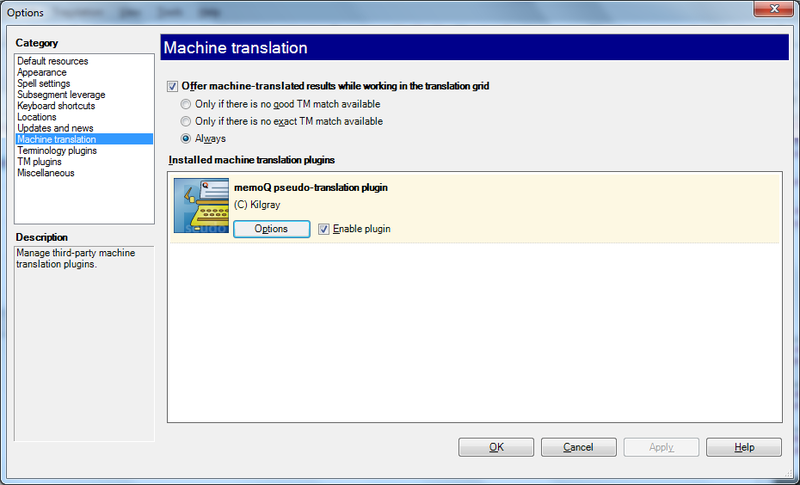 It was opened in SDL Trados Studio 2009 and saved as an SDLXLIFF file, which was subsequently imported into each of the other three translation environment tools. Still not very pretty, but it works, and it works better than an memoQ XLIFF currently does in TagEditor. No breaking of tags. The target DOCX file with the translation saved nicely and was perfect. In real life, however, it may be necessary to adapt the INI file in TagEditor more extensively for good results. The German consultancy Loctimize has compiled some good instructions for doing so in which the entire workflow is also described nicely (in German). So far I haven't run across similar instructions in English. One of the tags in the second segment was dropped. In a similar test with an XLIFF from memoQ, the version of OmegaT I tested (version 2.3.0, update 3) appeared to trash even more tags, and the target file was completely reformatted! In fact, it even trashed tags on the source side in the memoQ file! Thus I was deeply concerned about the XLIFF filter in OmegaT. However, as astute observers have noted, I probably deleted the missing tag when editing in OmegaT, and a subsequent successful re-test of the workflow confirmed this. But the problem with the XLF file from memoQ was frighteningly repeatable. Careful, systematic testing revealed, however, that the roundtrip of a bilingual XLF file from memoQ back into memoQ failed. Either there is a problem with the version I have installed (5.0.56) or the installation is corrupted. The matter is being pursued with Kilgray support. The target file from the SDLXLIFF translated with OmegaT was fine. Please note: with memoQ I can use an XLIFF which has not had the source copied to the target or one which has been pretranslated. That is not really the case for the other two environments tested, because with both TagEditor and OmegaT the source must be copied to the target or you have nothing to translate. You might say that memoQ offers "real" XLIFF editing for translation. The SDLXLIFF file translated in memoQ reimported beautifully to SDL Trados Studio 2009 and saved to a target file (DOCX) from there with no problems. With the growing number of translation agencies, direct clients and outsourcing translators adopting Kilgray's memoQ as a working platform for managing translation project content, it is particularly important for these new memoQ users and their partners to understand the best approaches to working together with persons who use other tools. 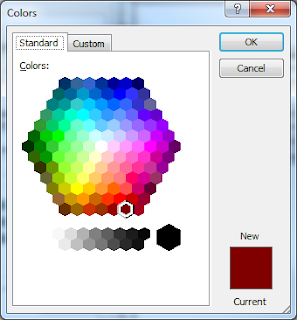 One tool which is still commonly found is SDL Trados TagEditor. Compared to the other "classic" Trados tool, the Workbench macros for Microsoft Word, TagEditor has the advantage of enabling many different file formats to be processed while protecting their formatting elements (also known as "tags"). 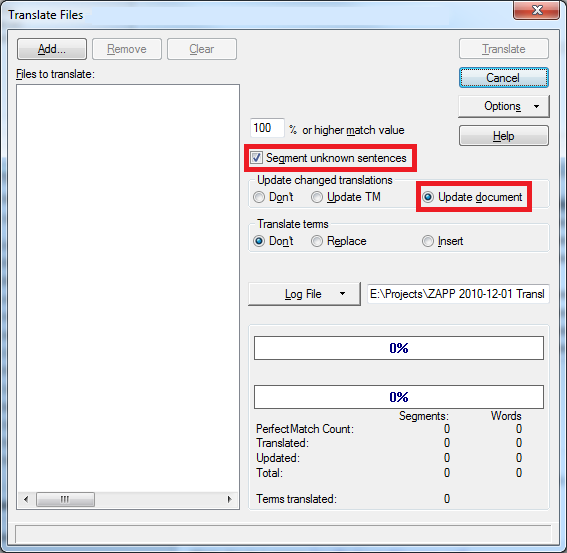 SDL Trados TagEditor can work with two types of "bilingual" files prepared in memoQ: XLIFF (*.xlf) files and bilingual RTF tables. Each approach will be presented here along with some suggestions for best practice. 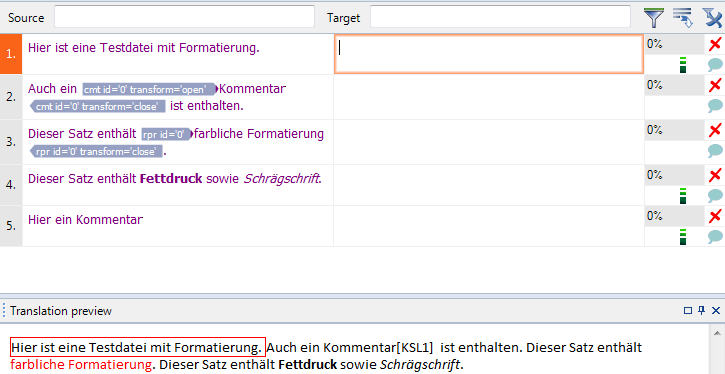 TagEditor comes with a default INI file for translating XLIFF, typically found at the path C:\ProgramData\SDL International\Filters\XLIFF.ini.This INI enables the contents of the target segments from the memoQ XLF file to be translated as the source in TagEditor. Thus for this approach to work, the source must be copied completely to the target in memoQ before the bilingual XLIFF is created using the Export bilingual function of the Translations page. 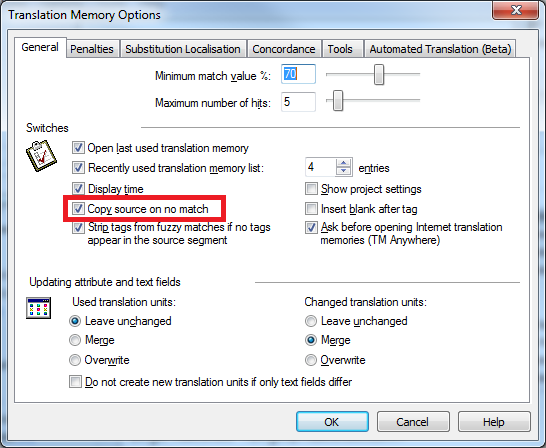 This makes pretranslation undesirable in most cases, because the source text for matches will not be accessible and the translator will end up with a very screwy TM. 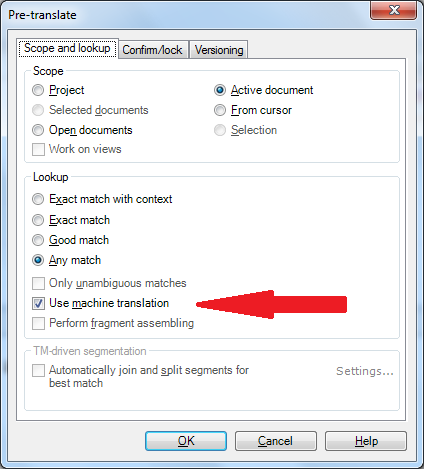 Data for the TM should be supplied to the translator as TMX; be aware that match rates for the segments in TagEditor will differ significantly in some cases. This will require a lot of tag fixing. Thus I really can't recommend the XLIFF method at this point, not for my simple little test file in any case. The methods using the bilingual RTF tables with memoQ tag protection are safer and the structures that result are much simpler. For best results in TagEditor, it is important that this file be generated with the "mqInternal" style selected for tag formatting. 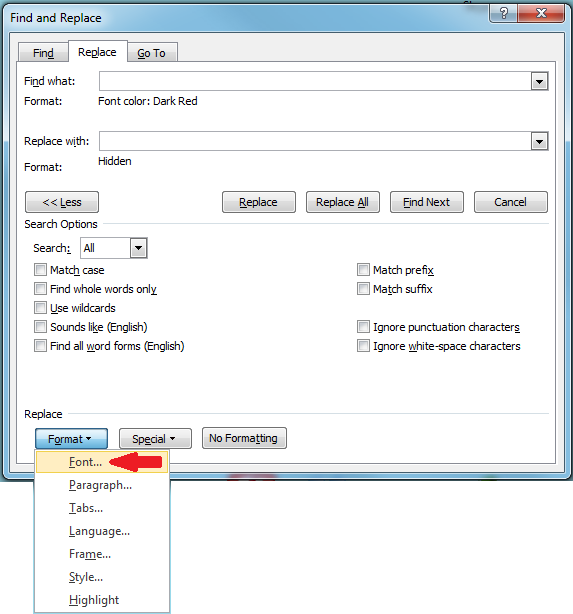 The dark red color imparted to the tags with this option means that proofreading in a word processor is easier, and it also enables the text of the tags to be selected and hidden using a search and replace function. If the RTF file is then saved as a Microsoft Word file, the memoQ tags in the table will then be protected in TagEditor! If the "full text" option for tags is selected, this makes little or no difference in the TagEditor view. Re-save the RTF as a DOC or DOCX file! This is necessary so that TagEditor will use the right filter. Using search and replace, hide all the dark red text. 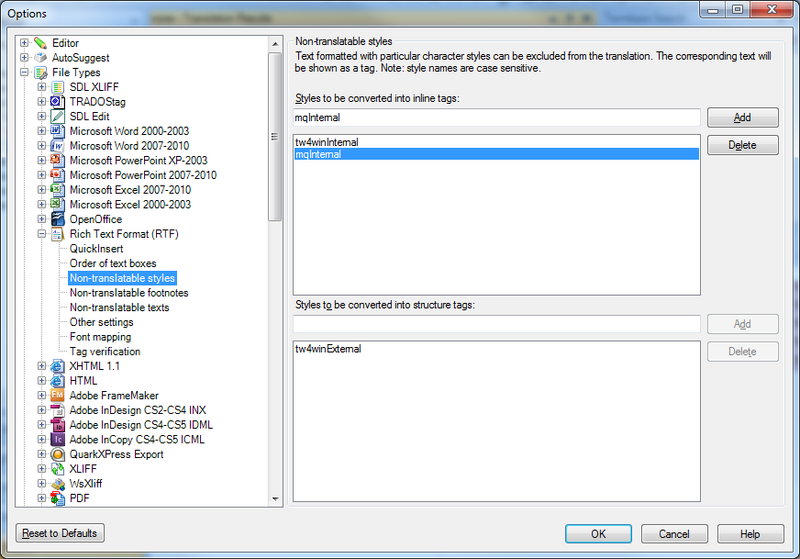 The settings for the dialog are show below and are set using the Font... option (marked with a red arrow in the screenshot) in the Format dropdown menu of the Replace dialog. 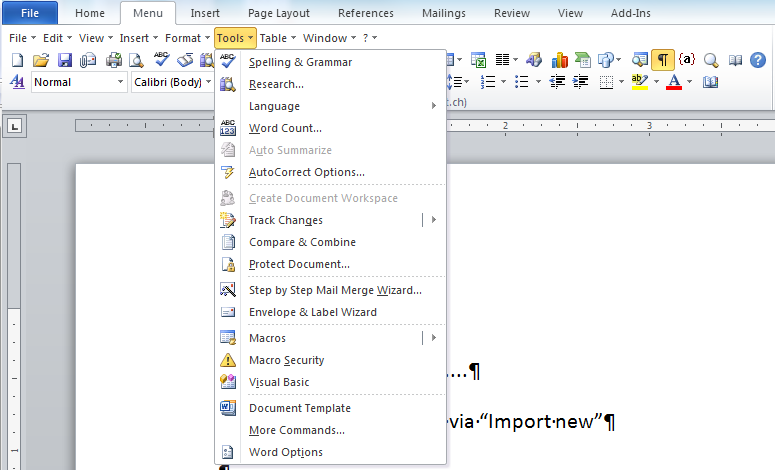 Launch TagEditor and open the Microsoft Word file with your content to translate. All the hidden text will be protected in tags. Translate the accessible text. Create a target MS Word file from your TTX as described above for the XLIFF files translated in TagEditor. Open the target file and unhide all the text. (Optional) When reviewing the text in the word processor, comments may be added if there is a comments column. These will be imported back into memoQ and can serve as valuable feedback. 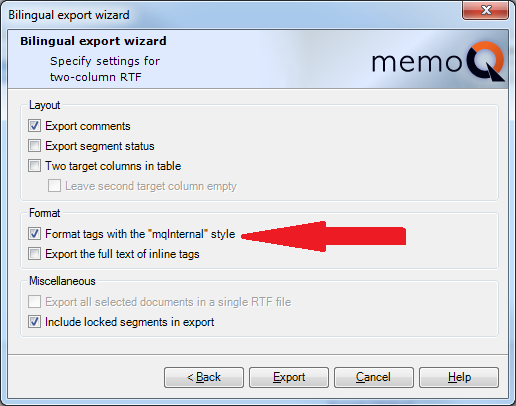 Re-import the RTF with the translated table into memoQ. The target text will be updated to include the translation. A QA check for tags, terminology, etc. should be performed in memoQ before exporting the final file for delivery. If an external reviewerr is used, another bilingual file in an appropriate format can be generated in memoQ for that work. 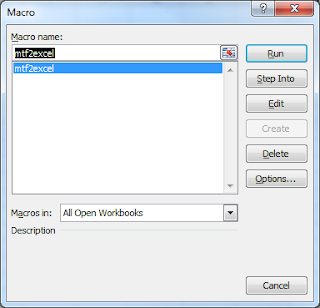 Steps 4 to 6 can be performed using a macro for convenience. The procedure described above can, of course, be abbreviated considerably by simply copying the source text cells into a new Microsoft Word document, doing the search and replace to hide the dark red text for the tags, then processing the file in TagEditor. After translating, unhide the text in your working file, then paste the cells over the target cells in the RTF file. This afternoon I received an interesting project of a sort I don't see often - Star Transit. I avoided these like the plague for years, because I dislike Transit as a working environment, though I expect the latest version is probably an improvement over what I used to use. However, since Kilgray created an excellent import routine for Transit packages (PXF files), working on these projects is quite a simple matter. Except for terminology. The memoQ integration currently does not include the Transit terminology. The client was kind enough to supply MARTIF exports from the Transit dictionaries, but unfortunately that's not an import format for memoQ, though really it should not be that difficult to deal with that XML format (I hope). So I went on the search for a solution and soon discovered a PrAdZ thread in which Czech translator Antonín Otáhal offered a VBA macro for converting the MTF files (MARTIF) to Excel. The solution works nicely, though in my tests I found it necessary to open the MTF files in Notepad and re-save them as ANSI so the special characters in German would not get trashed. And I hate typing a full file path into the selection dialog, so I modified the code to include a proper file selection dialog. If anyone else can use such a tool, I've made it available here as an XSLM file (a macro-enabled Excel worksheet for MS Office 2010). Improvements are very welcome; I've been out of the programming game too long now to refine this much without investing more time than it is worth to me. Nonetheless, I'm quite pleased that I can now save a tab-delimited or CSV text file from Excel and import this easily into memoQ or other translation environments. So moving term data from Star Transit to other tools is now a little easier. Click the Run button. A file selection dialog will appear, and if everything is OK with the encoding, your term data should appear shortly in the columns of the Excel sheet. Recently, I blogged about my new Kindle (http://goo.gl/JJF0q) and some of the personal and professional possibilities I saw for it. Since then, various friends and colleagues have raised the "compatibility" and monopoly issues for published eBook formats. I have found that Calibre (http://calibre-ebook.com/) is an excellent way to overcome this by easily converting between all formats and managing your electronic library. It also does great news compilations. I had to conclude that the idiots programming for Facebook must never have considered the possibility of two links in one comment. In any case, I resent being asked to do security checks on my own page. Even the "audio captcha" attempts were failures. 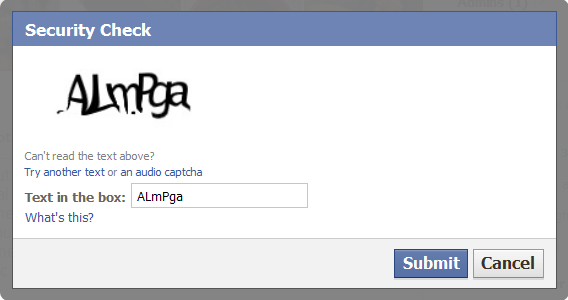 This form of verification technology is extremely intrusive and makes me less concerned with security, not more. Really, there must be a better way. Oh, yes... Calibre is an excellent tool for eBook management and seems to overcome many of the barriers which concern some colleagues and friends. And there's nothing Amazon can do about it. Like many people, I am deeply unhappy with the changes that Microsoft made to its Office Suite in the 2007 and 2010 versions. Since I upgraded from Office 2003 about a year ago, I have been unable to find many functions I used for decades. I find the "ribbon" paradigm used in the current interface appalling. Icons have been carried much too far in interfaces. We need words to figure out where things are in most cases. Or I do at least. Donnerstag des Monats statt - am 19. Januar 2012. 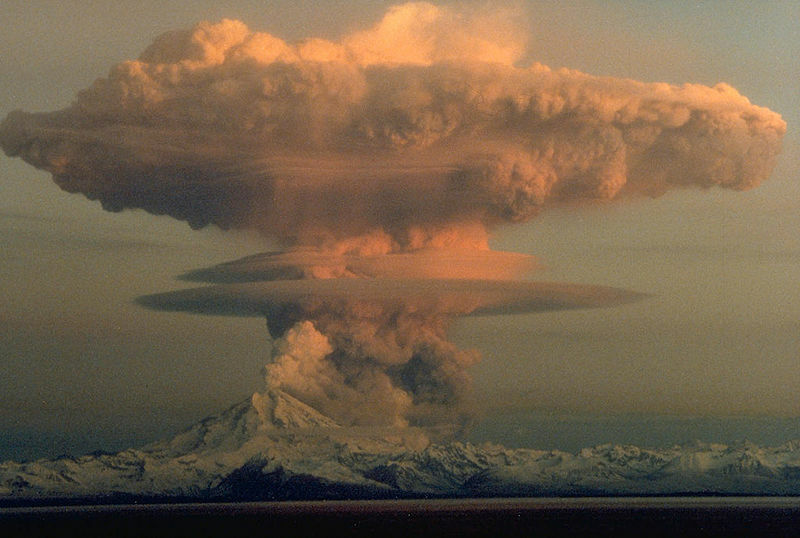 As noted in my last post, concerns are growing over the trend toward "Cloud-based" translation management solutions and the potential negative impact on interoperability between TEnT systems with the wrong approach. As Jost Zetsche noted, there is a need to push solution providers such as SDL, Kilgray, Atril, Wordfast et alia to develop working, open interfaces so various clients can be used with a given server solution in online projects. From a somewhat different perspective, Hungarian translator Csaba Bán noted that bits and dribbles of text translated via project management tools in the Cloud, while perhaps offering some efficiencies for an LSP or other company, too often unnecessarily fragment and waste the translator's time for inadequate compensation under most current schemes. I've heard a number of my clients talk about developing web-based "instant interfaces" for quickie translation service, and I know of a number of companies who have had something like this for years, but it all seems a bit like a sleazy back alley encounter on the fringes of a Red Light district with too great a chance of the translator's business suffering ill health from such indulgence. Cloud solutions which do not cleanly integrate with a translator's working environment tools but which require copying and pasting in various fields and windows are simply inefficient (despite some tools offering Clipboard integrations) and not very attractive. And appropriate minimum charges and premiums to offset the disruptions caused by too many dribbles during the day are called for. This requires some thought, and I can't pretend to offer any brilliant solutions to the dilemma, as I think each situation will have to be considered individually until a good set of general principles for best practice emerge. I have one such case I'm puzzling over myself right now: how to charge for "tweet translation" for a long-term client who runs a PR agency. So far I haven't, because the volume has been modest and fits well enough into the ordinary flow of our business discussions, but the case has me thinking. Gradually, decent standard solutions emerged. A number of my clients are happy with the German Plunet solution; I favor LSP.net's OTM, not because I localize the English interface but because it's comprehensive, legally secure, provides robust processes and archiving, is software as a service (SaaS) at modest cost, and I don't have to screw around with the infrastructure at my dilapidated country estate with its lousy bandwidth availability; and there are other acceptable alternatives beside the rather nightmarish mess of the Open Source solution I once tortured myself with for several months (Project ]open[ Translation). A good online administrative solution like this has many advantages over desktop or LAN solutions, and I have discussed many of these benefits in previous posts about OTM. Even the best solutions I have seen, however, have one glaring weakness: login management!!! This is a big problem with many online applications. We all have too many damned passwords to juggle. When suddenly I have another dozen or two dozen logins to translation project administration systems for my agency and big corporate clients, things begin to get dicey if cookies, utilities like KePass or other methods are not applied. Personally, I would like to see options for OpenID and other integrations as one is beginning to see with some of the social media. Despite the hassles sometimes involved here, I think Cloud-based tools of this kind are among the most useful for managing translation-related processes and making them secure. I use my OTM for encrypted deliveries of confidential files and for providing clients with full access to their project backup archives. This is a blessing if I'm off somewhere taking a break and someone desperately needs a copy of a translation I did last year which has gone missing. Once upon a time, in my youth, communication, including translation, used media that were more or less common standards. Any pen or pencil could write on most any paper or vellum, and while one might have preferences in a brand of typewriter, the choice mattered little to the end result. Transmission by postal mail, courier, teletype or (later) fax also used mostly compatible protocols, and fewer things got lost in the pile of junk mail, as the kinder, gentler form of "spam" was called in those days. Then the rise of IT and media technologies in the commercial and consumer world shattered this pax, and a myriad of information fiefdoms rose and fell, with users as the foot soldiers and cannon fodder in their conflicts. Eventually, on the main stages of IT, the vendors were forced to realize that their futures depended not on information fortresses but in open exchange and interoperability. In IT backwaters such as the translation "industry", old practices persisted like medieval kingdoms and customs around the Himalayas, but eventually modern data sanitation reached even this provincial niche, which had adopted some computer tools while ignoring most best practices to maintain proprietary strangleholds. But eventually, the march of progress reached even those altitudes, and TMX, TBX and XLIFF became common parlance. And all is well or shall soon be. Really? "While we have data exchange standards that are more or less well supported (TMX for translation memories, TBX for termbases, XLIFF for the translation data, and the upcoming Linport for translation packages), there are no mechanisms that enable tool A to enter into the server- or cloud-based workflow of tool B. So, if your client sends your project not as data but as a login that you can use within a tool to access an online-based project or -- even more simply -- to actually log into an online-based tool that automatically gives you access to online-based data, all the hard-fought-for advances in widely accepted data exchange standards are nullified." This is one of the problems which has concerned me, along with the loss of platform freedom for translators currently wanting to work on server-based projects. Although I know some translation companies, such as Translators International in the Netherlands, who use their server-based memoQ and other technology to make translatable content available to their language pair teams in a variety of best practice, compatible formats, in too many cases, server-based projects lead to a kind of lock-in which ultimately is in no one's best interest. Across Systems, with its wicked policy of deliberate incompatibility, represents the worst case I know, because it is not even possible to work with data exports of some kind as one can with respectable systems such as some SDL technologies, memoQ, Ontram and others. Various influencers within SDL, Kilgray, Atril, MultiCorpora, Andrä AG and elsewhere are probably quite tired of hearing me pluck the strings of my dream harp loudly and repeatedly in their presence: I want to see online server communication standards which enable a client user of Trados Studio or Wordfast Pro to connect to a memoQ Server project, or someone with a memoQ Translator Pro installation to connect to an Ontram or SDL server project and work most effectively using the ergonomic tools with which the translator or editor is most familiar. I don't buy the arguments of "difficulty" at face value; just look at all the integration plug-ins that are being released by various vendors, with remote TM or termbase access, and it's fairly obvious that at least some degree of online interoperability should be achievable without much pain. "Only one thing will eliminate or reduce the risk of vendor lock-in in the long run: if end-user customers start demanding standardization and interoperability, just as they have in the past with on-premises applications... providers will fall in line." All of us - individual translators, translation companies and corporate customers who manage their own translation services with server-based technologies - need to demand that all the credible providers of translation environment technologies "fall in line". At the end of last week, Kilgray released Build 53 of memoQ version 5 with a number of interesting new features. One of these is "pseudotranslation". I grew rather fond of this feature in the localization tool Passolo years ago, when I used it to identify software strings that developers had hard-coded instead of organizing in translatable resources as they were obliged to do. In fact, this is the application Kilgray mentions on the corresponding Help page. I also see it as a useful support for "round trip testing" of translation workflows. Too often, translators and project managers experience difficulties exporting translated content to some original file formats. This was often a problem with Trados TTX files created and translated with different builds or versions of Trados, for example. So to avoid nasty surprises shortly before delivery after a long project, it is always a good idea to make sure that "what comes in" (such as an InDesign format of some kind) will go "out" again cleanly. Usually this is done by copying the source text to the target text and changing a few words or lines. This preserves complex tag structures, which may affect the stability of a target file, for example. Pseudotranslation is an improvement over source to target copying, because, among other reasons, it makes the test file more clearly identifiable as such. And in cases such as the software translation scenarios, it offers additional insights into potential problems. 3. Choose Operations > Pretranslate... and make sure that the checkbox labeled "Use machine translation" is marked. 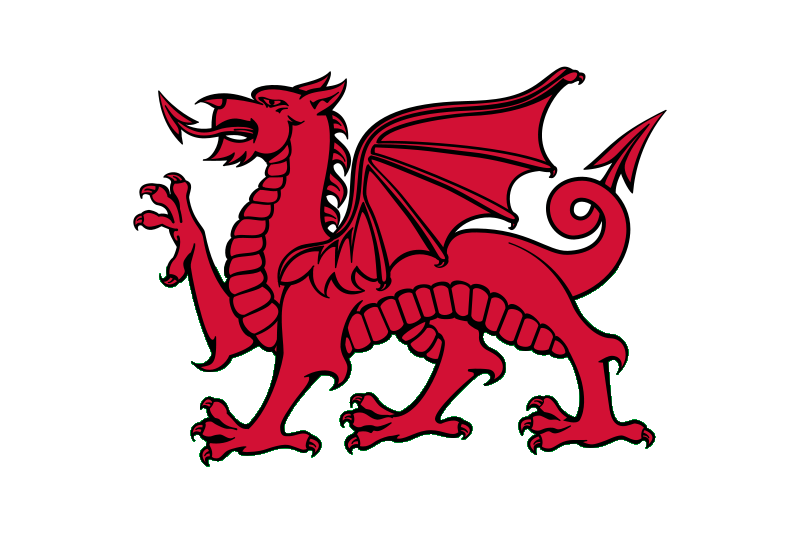 One idea that fascinated me with Dragon Naturally Speaking is the potential for using the software to transcribe dictated messages on recording devices. I have often been interested in possibilities for translation away from the computer. In fact, the possibility of translating my by dictation is one that has a long history and which is of great personal interest to me, because I think that it may be possible to achieve a very different flow and quality from that which is typically achieved when writing on a computer. So, while visiting a friend, I purchased an inexpensive Olympus recording device for about €50, then I trained DNS to use it and began my experiment. The text above is my first attempt at transcribing from a small, portable recording device to Dragon Naturally Speaking. One small correction (marked). My expectations were not high when I decided to try this. The microphone in my headset is of rather modest quality, and the errors, as noted in my last post, can be devilish. But the recording device gave excellent results. A few other texts I have tested look equally good. So it seems my dream of dictating translation drafts off original printed texts or originals migrated to my Kindle may become true soon. 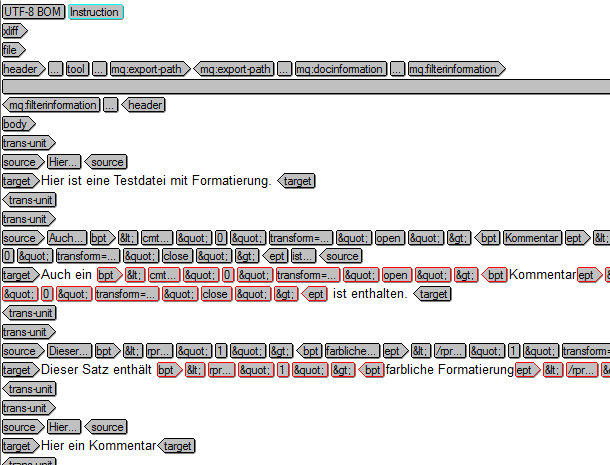 In combination with memoQ LiveDocs, I see some very interesting potential translation and revision workflows. Stay tuned. For a number of years now, various colleagues of mine have sung the praises of Nuance's Dragon Naturally Speaking, making productivity claims that I occasionally suspected had their basis in illegal substance abuse. The work results I saw on one project a few years ago convinced me that the fellow had in fact been stoned. I used the software briefly seven years ago during a rather unpleasant bout of RSI while I was traveling abroad and some of the keys on my laptop's keyboard began to fail, but Windows XP Service Pack 2 soon rendered the application unusable, and my memories of it weren't so great that I was inspired to have another look any time soon. And so it remained until I had occasion to visit another colleague and see a "mixed mode" way of working with The Beast on complex legal texts. That got my attention. Particularly the quality of the results and an output well beyond my usual capacity. So I had another look. First of all, one must be aware that DNS is dangerous. Even with good training and a high-quality microphone, it produces a number of errors, some bizarre, some very subtle, which may require a significant change in one's review workflow. For someone like me who is a miserable proofreader, this can be quite a challenge. Reading texts at top speed aloud doing a Donald Duck imitation seems to help. But for God's sake, don't rely on a casual silent read and a spellchecker. I discovered that overall, my working speed, even with the considerable increase in review effort, improved significantly. It is faster to read terminology from my TEnT hit list than it is to insert it with a keyboard shortcut, and I think that looking at the source text on the screen more and thinking about it as I dictate at a slow, relaxed pace gives me a better, more natural text faster. The improvement in output isn't a matter of "typing speed" so much but rather that I spend more time reading the text. I am a hunt and peck typist, albeit a rather fast one, and I can keep pace with the fastest touch typists I have seen when I am working on a translation. The real bottleneck has never been typing time but rather thinking time, and I do not have the impression that a touch typist does any more thinking or does it faster. When I shared my findings with a Dutch friend, an agency owner with nearly 30 years of experience as a translator, he told me about how the colleagues he knew long ago had mocked him for using the first generation of word processors, because they could dictate so much faster. However, back then a great deal of time was lost sending tapes to a typist and revising, and he could often deliver faster, though his personal time investment was perhaps greater. Now, he said, it seems that technology and tradition can be combined to produce the best result. For a number of years now, various colleagues have sung the praises of nuances Dragon naturally speaking, making productivity claims I occasionally suspected had their basis in your legal substance abuse. The work results I saw on one project a few years ago convinced me at hello had in fact been stoned. I used the software briefly seven years ago during a rather unpleasant out of RSI while I was traveling abroad and some of the keys on my laptop's keyboard began to fail, but windows XP service pack two soon rendered the application unusable, and my memories of it weren't so great that I was inspired to have another look anytime soon. And so it remained until I had occasion to visit another call to and see a mixed mode way of working with the beast on complex legal texts. That got my attention. Particularly the quality of the results and an output well beyond my usual capacity. So I had another look. First of all, one must be aware that DNS is dangerous. Even with good training and a high-quality microphone, it produces a number of errors, some bizarre, some very subtle, which may require a significant change in one's review work. For someone like me who is a miserable proofreader, this can be quite a challenge. Reading texts at top speed allowed doing a Donald Duck imitation seems to help. But for gods sake, don't rely on a casual site and read and spell check. I discovered that overall, my working speed, even with the considerable increase in review effort, improved significantly. It is faster to read terminology from my tent yet list than it is to insert it with a keyboard shortcut, and I think that looking at the source text on the screen more and thinking about it as I dictate at a slow, relaxed pace gives me a better, more natural text faster. The improvement in output isn't a matter of typing speed so much but Robert that I spend more time reading the text. I am a hunt and peck typist, albeit a rather fast one, and I can keep pace with the fastest touch typist I have seen when I am working on a translation. The real bottleneck has never been typing time but rather thinking time, and I do not have the impression that a touch typist does anymore thinking or does it faster. When I shared my findings with a Dutch friend, an agency owner with nearly 30 years of experience as a translator, he told me about how the colleagues he knew long ago had mocked him for using the first generation wordprocessed, because they could dictate so much faster. However, back then a great deal of time was lost sending tapes to a typist and revising, and he could often deliver faster, though his personal time investment was perhaps greater. Now, he said, it seems that technology and tradition can be combined to produce the best result.